Hands on It may be news to you that HTC is still with us, but the fact it's here is good news for phone buyers. 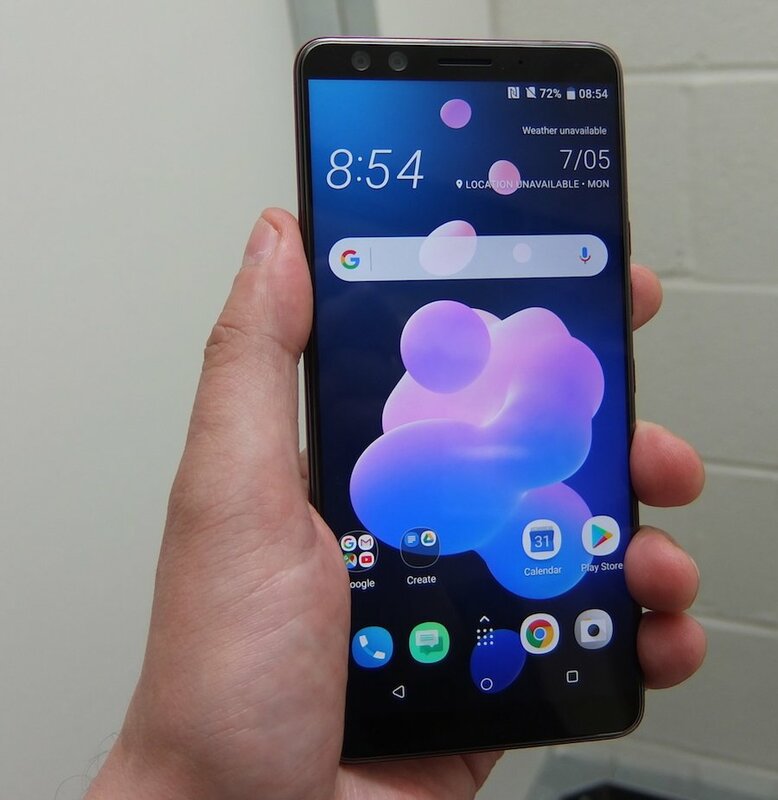 HTC's only flagship smartphone of 2018 – the U12+ – looks like a sensibly priced alternative to the Pixel and Galaxy, without the eccentricities and flaws of the Huawei P20 Pro. That may not mean anything to you – the U11 was hard to find, and the U11+ that followed a few months later was even more elusive. 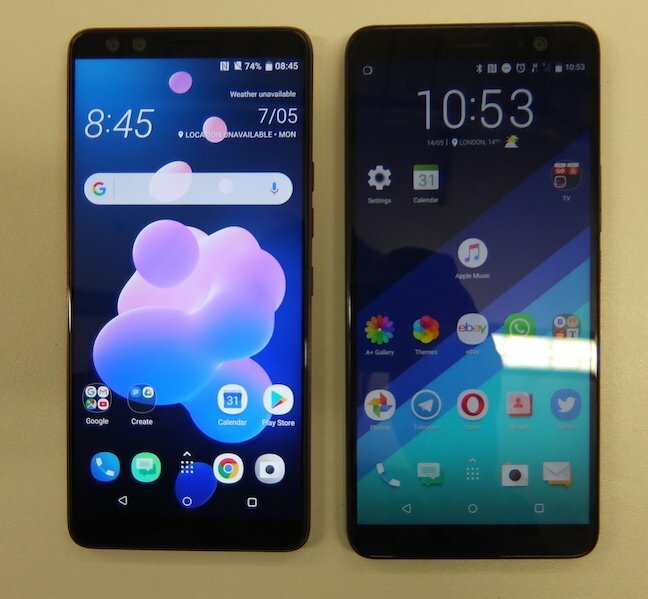 The U12+ is almost the same size as the U11+ but the distribution of its 181g is much nicer; it feels lighter when you have a Plus (U11 and U12) in each hand. The U12+ comes in the two-tone gradient glass HTC introduced last year, which, while dazzlingly eye-catching, is both vulnerable to drops and uniquely smudge-attractive. It comes in black, a more muted red, and a translucent navy blue – the one you'll see in the marketing. The sceptic might argue that the differences this year are minimal, reflecting HTC's reduced circumstances. But up to a point, Lord Copper. There's no new software at all, the principal camera sensor is the same, and chip and display merely 2018 state-of-the-art. However, the U11 was (and still is) a very attractive product with terrific still photo, video and audio talents, and very fluid interaction. All these are undiminished, or slightly improved, this year. The differences are the addition of a telephoto lens on the back, a rear-placed fingerprint sensor and more controversially – we'll see why in a moment – the replacement of mechanical volume and power buttons with fixed, haptic feedback buttons. The phone packs in an excellent 6.0-inch DCI-P3 wide gamut IPS panel, like the U11+, but with the sensor moved to the rear, and the bezels almost now not much wider than a hair. The battery is disappointingly a 3500mAh pack rather than the 3930mAh pack found in the U11+. The 12+ has the IP67 waterproof rating once again, but there's no Qi. HTC has consistently shunned it and isn't going to start now, dammit. Once again, it has bundled with last year's USonic active noise cancellations, which incorporate a DAC. Nothing new here, but the quality is excellent. The phone performs some measurements of your skull and produces what it thinks is an optimal sound profile. So far, so not-very-much-new. Well, the Edge squeeze facility has been enhanced so it can take blind taps. These can be configured for all sorts of things, like replacing the back gesture, and this could quickly become second nature. HTC introduced a handy rotary launcher with the U11+ last year, which is often the fastest way of getting to an app or a shortcut. Apps can be trained to receive gestures. A little time invested here is time well spent. So far Google shows no sign of allowing you to do anything with the Pixel 2's squeeze gesture other than invoke Clippy, but you can get third-party apps of varying reliability to remap the gesture. 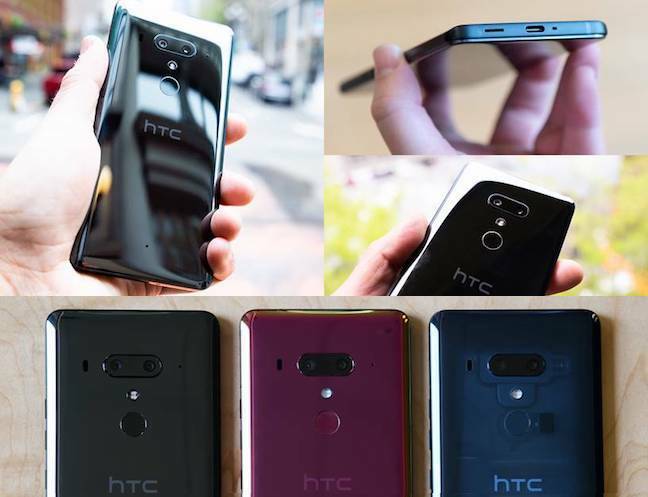 HTC has also removed the traditional mechanical volume and power buttons and replaced them with pressure-sensitive virtual buttons that give haptic feedback. It's similar to what Apple did with the home button in the iPhone 7, which was weird at first – you lost the old-style audible click, but quickly got used to it. I wonder if the same is true, though, of these U12+ buttons. I found they required a lot of pressure, and it was near impossible to do a volume up-up-up sequence. After discovering there was no way to adjust the pressure sensitivity, I spent some time figuring out how to hold and press them so they could be as reliable as traditional buttons. Without much success, I have to say. Maybe it's just me, but HTC could have a lot of returns on its hands, if it my pre-production units are typical of the final run, and the pressure can't be adjusted.